An online effort is currently underway to help Basham secure a new sentence. A petition first started in 2016 currently contains more than 2,300 signatures from across the United States in support of the Lima woman, according to a Facebook post from Judy Frisby, Basham’s mother. Crish, who resigned from office on Jan. 31, 2017, earlier this year was served with a federal indictment charging him with extortion, soliciting bribes and making false statements to law enforcement officials. LIMA — A Lima woman who as a 20-year-old was sentenced to 14 years in prison for her part in a string of home break-ins and robberies has filed a motion to withdraw her guilty plea — more than four years after the fact. 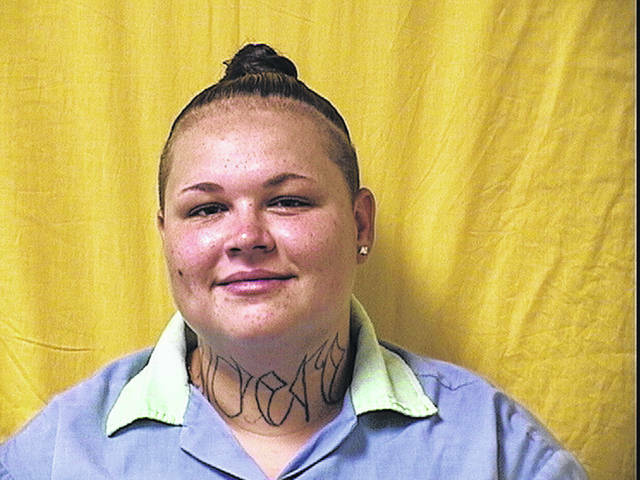 Mackenzie Basham is now 24 years old and is serving time at the maximum security Dayton Correctional Institution after pleading guilty in 2014 to eight counts of burglary. Basham was sentenced Aug. 5, 2014, following her acceptance of a plea deal with prosecutors. But in a motion filed earlier this week in Allen County Common Pleas Court, a private attorney hired by Basham’s family alleges that ineffective, unethical and borderline criminal representation by Basham’s former attorney — who is now deceased — contributed to the young woman’s decision to plead guilty to the crimes. Attorney Brian Joslyn claims the legal advice offered by Michael Dugan, who served as Basham’s court-appointed attorney throughout her case, was “so substandard that it was not only constitutionally infirm, but also contained false statements about the evidence in the case.” Joslyn in his filing claims “the evidence will show that no reasonable person … could have knowingly, voluntarily and intelligently entered into the plea of guilty in this matter” as the result of Dugan’s legal advice. This entry was tagged crish. Bookmark the permalink.